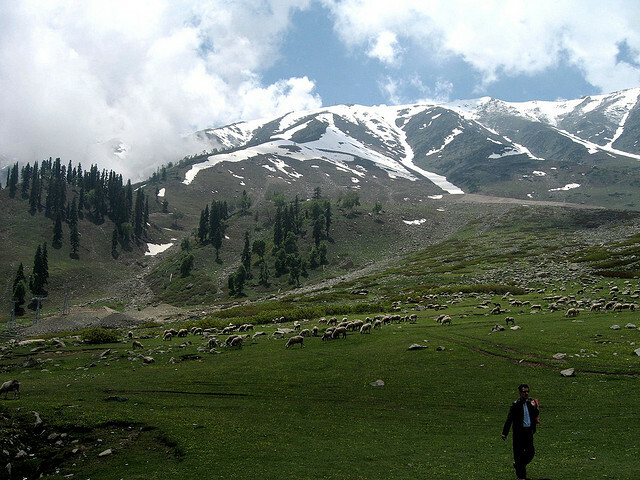 Khilanmarg is a small valley which is about 6 km from Gulmarg. This valley is beauty personified during summers as is covered with exotic flowers and is a spot for winter ski during winters. On clear days this place offers some amazing views right from Nanga Parbat to the twin seven thousander peaks of Nun and Kun in Zanskar valley. From Khilanmarg one also gets breathtaking views of Wular Lake.